Buddy Healthcare has released the Posita App for patients going through an obesity surgery in cooperation with UKSH (Universitätsklinikum Schleswig-Holstein). The obesity pathway is so far the most extensive protocol running on the BuddyCare platform. The app was officially published during Healthcare Hackathon Kiel on September 14-15, 2018. With Posita App, UKSH aims boosting patient compliance to treatment, reducing cancellations and administrative work, and improving care quality and patient recovery. In addition the publishing the adipositas pathway, Buddy Healthcare attended the hackathon to answer the next challengies set by UKSH. During the hackathon, Buddy Healthcare worked to develop a pain therapy pathway for pain therapy patients and prepared HL7/FHIR integrations with local HIS systems. "The hackathon was a great opportunity for us to expand our projects with UKSH. 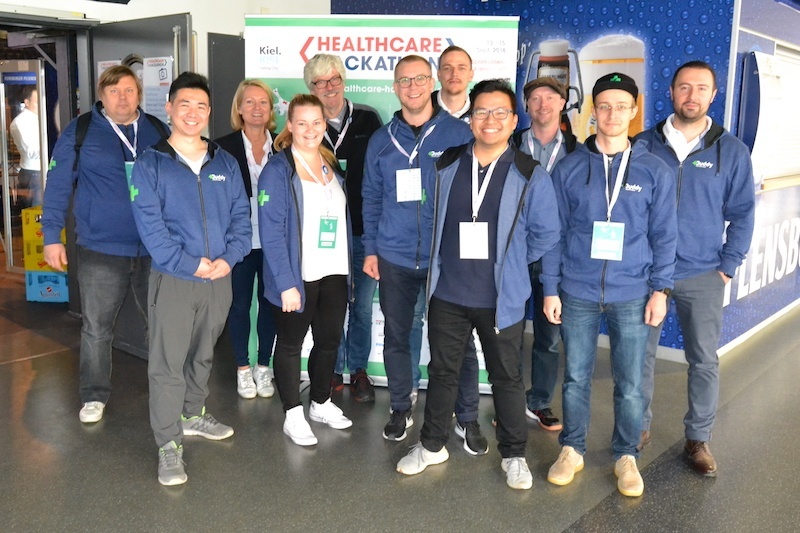 The whole Buddy Healthcare team went to the event to learn more about German health tech, meet potential partners and to strengthen our foothold in the local health tech scene. We were among top-7 teams at the hackathon, so great job, everyone!" the CEO of Buddy Healthcare, Jussi Määttä, says. Buddy Healthcare entered into collaboration with UKSH Universitätsklinikum Schleswig-Holstein in March 2018. The solution developed for UKSH focuses on guiding patients undergoing bariatric surgery. UKSH is one of the largest and leading university hospitals in Germany. Buddy Healthcare’s customer hospitals significantly reduced no-show rates and phone call. With the platform, patients are more involved to their own care. The hospital staff can inform and monitor them better throughout the care process.